The journey continues for “Ang Larawan,” winner of six awards at the 43rd Metro Manila Film Festival including Best Picture and Best Actress (for star Joanna Ampil). 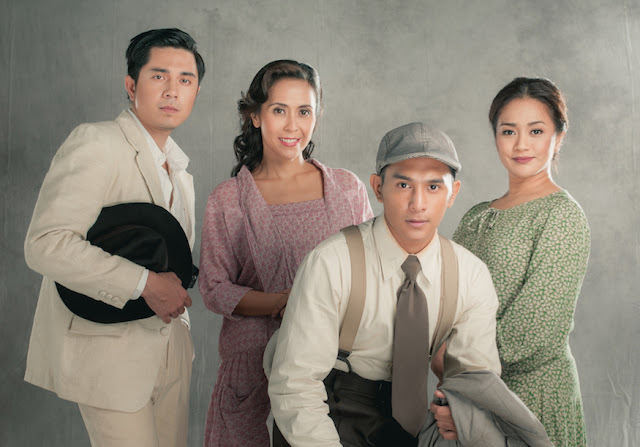 After a very successful run at the two-week MMFF where it screened to sold-out audiences, the Filipino musical based on Nick Joaquin’s play A Portrait of the Artist as Filipino is currently enjoying a third-week extension in several cinemas. Its theatrical run in the US began on January 12, while several organizations and schools are set to hold several block screenings of the movie in the next few weeks. As the makers expressed gratitude for the production team, cast, crew, suppliers, the MMFF, cinemas, journalists, bloggers and the audience for their patronage, they also pledged to keep bringing the film to a wider audience as part of their mission to promote the beauty of Filipino culture. “Ang Larawan” opened in 16 areas in the US on January 12, particularly in Milpitas, San Bruno, Daly City, Union City, Vallejo, San Francisco, Orange, Carson, City of Industry, National City, and Burbank in California; Elizabeth in New Jersey; Woodridge in Illinois; New York; and Las Vegas in Nevada. Even non-Tagalog speakers can watch since the movie has English subtitles. The US screenings are being presented in co-operation with ABS-CBN’s The Filipino Channel (TFC). Other future screenings include a January 24 presentation at Cinema Centenario in Maginhawa Street, QC, with actress-producer Celeste Legaspi as special guest; and a February 5 double feature with MMFF 2016 Best Picture “Sunday Beauty Queen” at the UP Film Center Cine Adarna. Culturtain Musicat Productions, the independent production company behind “Ang Larawan” invites organizations and schools to organize screenings of the film to be held at either their respective venues or even in the cinemas— as a special event or a fundraiser. Stars and makers of the film can grace these special screening for meet-and-greet and also to answer questions during the post-screening open forums. “Our MMFF run is only the beginning,” says co-executive producer Girlie Rodis. “From the start, we wanted to bring ‘Ang Larawan’ to as many people to as many places as we can. We want to partner with groups and individuals who believe in the message of our film. For inquiries, log on to anglarawan.com. For news and updates, check out Ang Larawan The Movie on Facebook.